Amy Whinehouse on an Allowance! 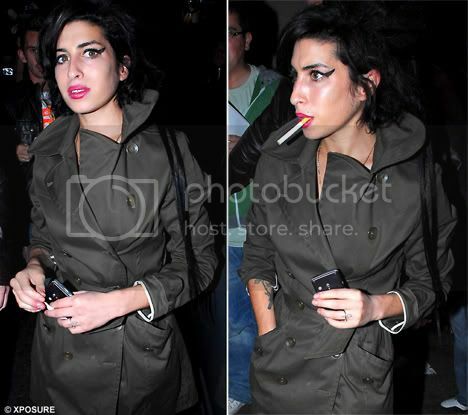 Amy Winehouse’s mother is controlling her spending by restricting her to a ?300 a week budget. Janis Winehouse, 52, is so worried about her daughter she controls the rest of her income and only gives her the pocket money to prevent her spending more on drugs. Amy Whinehouse takes a Break While The Family WARS!